Since Charlotte and I recently moved out to Boulder a few weeks ago, we’ve had to hit up a new grocery store. While it may sound like a trivial part of the move, it’s huge in my eyes. Few things can derail a good nutrition plan than switching grocery stores. You walk in and don’t know anyone or where anything is in the store (Yes, I make mindless conversation with the cashiers.). You amble around confused why the dairy aisle is on the opposite side of the store or why they don’t have that particular brand of tomato sauce you like so much. Everything comes in a different packaging making it hard to find your go-to favorites. Even the sale indicators are completely unfamiliar so you can’t really tell what’s on sale and what’s not. It’s hell in the finest sense of the word. Food is a treasure and grocery shopping is honestly one of the highlights of my week (riveting I know). In my opinion, the grocery store should be a sanctuary rather than a place of stress. I enjoy going and picking out what I’m going to have for the rest of the week. This probably goes hand in hand with the fact that I like to cook, but that’s neither here nor there. 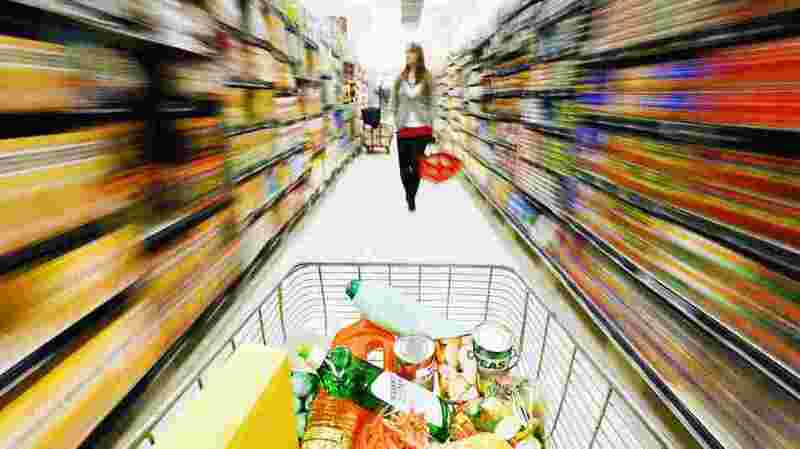 Back to the point at hand – surviving in the grocery store. Perhaps it’s a new store or you just hate the grocery store in the first place and can’t seem to make it out without spending an exorbitant amount of cash. Whatever the reason, here are a few tips to get you in and out in one piece. Learn what fruits and veggies are in-season. Rather than walking into the grocery store like a five-year old that proceeds to grab everything they want off the shelf without looking at price, learn what is currently in season and then plan your meals accordingly. With spring coming up soon, use this guide from the crew over at Greatist. You won’t only save money with this strategy. You’ll also enjoy better tasting food. Win. Win. Win. Always buy organic with these items. Listen, I’m a huge fan of the whole organic movement. In fact, if you can afford it, load your card up at the Greenwise section at Publix. But, I also realize that organic food can be expensive as hell. Especially when you’re starting to change up your diet for the better, organic food shouldn’t be at the top of your list. Learn to make better choices, then worry about buying healthier items. Organic chicken doesn’t do you any good if you’re washing it down with a Cherry Coke or a a Yoohoo (News flash: that isn’t even milk. You’ve been lied to). Still, the organic vs. non-organic choice still comes down the pipeline and you’ll have to choose between the $1 apple or the $0.25 apple. Decisions, decisions. Coffee – yes, go organic with coffee even though they probably won’t have your favorite flavor. Coffee is one of the most pesticide-sprayed products in the world. You don’t want all that mess up in your body. Apples – yep, you got it. These things are loaded with different types of chemicals. Bell peppers – I tend to use these guys as snacks and I’m terrible about washing them beforehand so the logically choice is to go organic. Lettuce – I eat a mansalad for lunch most days of the week. When you eat something every day, it pays to have good quality stuff. Some people refer to these items as part of the dirty dozen. You can find the rest of those foods here. Am I going to eat the skin? If not, I don’t worry about it. Was this product grown locally? I’ll opt for local over organic most times. Am I going to take the time to wash this thoroughly? Is my carnivorous appetite going to eat these grapes out of my hands before I wash them? Can I go organic and still buy all the bacon I want? Seriously, if eating organic means you also have to buy crappy food, then it’s not worth it in my opinion. Hit up the meat aisle first. Since your meals should be based around their protein source (they are aren’t they? ), it makes sense to shop for those items first on your list. Most often than not, Charlotte and I will plan out our entire week based on what meats are on sale at the current moment. Want to be super savvy? Check online for deals before you go. Want to be the rockstar of the grocery store? Buy your meat in bulk either straight from a farmer’s market where you can get insane deals on very high-quality meat or from a local farm that sells their meat straight to consumers. You can also opt to buy half a cow (which I tried to do in college) and have meat for an entire year. Figure out what works with you and your budget. Main takeaway: Prioritize your protein or you’ll mess up your mojo. Plan out your meals and stick to the plan. Speaking of meals, I’m constantly amazed by the amount of individuals trying to eat better that don’t plan our their meals ahead of time. It’s akin to trying to save money without creating a budget. It’s hard to figure out when you have money and when you’re bank account is bone dry. Planning meals is the single most successful tip you could implement to improve your nutrition. You can’t eat well if you don’t have good food in the house. Plan out your meals in advance for each day of the week. We often plan out six days assuming that one day we’re going to cut loose and get wild at a restaurant before watching a movie and falling asleep at 9pm like old folks. Center your planning around your week. Have a little extra time on Wednesdays? Plan to have a more thought out meal with longer prep time. Slammed on Thursdays? Crock pot here we come! Learn to eat a few things very often and make them well. Listen, I understand that eating plain chicken and broccoli can get so boring you’d rather skip a meal than force it down your throat, but I also know that I didn’t learn to ride by bike by popping wheels and doing backflips all over town (that was week two). When you’re first learning to eat well, the simplest thing to do is make a list of meals that are acceptable for breakfast, lunch, and dinner. The easiest thing to do is to create nine total meals – three of each – but categorize them as 1) good amount of prep time 2) short prep 3) fridge to table in 3 minutes. This way, you’ll always have something prepared no matter how long you have to eat. One of the biggest pitfalls I see when individuals try to go on a diet is that they attempt to make these gourmet meals with foods they aren’t accustomed to. Break that habit by learning just a few recipes you can make on repeat. Bonus: this makes shopping way easier as well. Figure out what days are best to shop. This is a minor one. Peruse your grocery store ads to find out which days offer the best deals. Try not to shop on the weekends when everyone else is picking up groceries as well. Chances are, all the great deals are going to be gone. Instead, opt for a day during the week. Our previous grocery store used to combine deals on Wednesday so you could get the deals from the previous week as well as the new deals coming out. Bingo! Eating well doesn’t have to be hard. In fact, it doesn’t take that much time at all. The main pitfall is piss poor preparation – which starts at the grocery store. Arm yourself and take over your diet. Want to be super savvy? Check out this awesome video from Michael Pollan that details why products are at certain spots on shelves and why milk is always at the back of the store. Time to let me hear it in the comment section. What’s your favorite grocery store? What key steps did I miss? Jeremey posts a ton of other quality info on health and fitness as well as writing and everything else under the sun on Twitter and Google +. Hop over and follow or plus him there.